Hi, and thanks for taking the time to get to know me. I’m Mark Hamilton… professional lampwork glass artist. 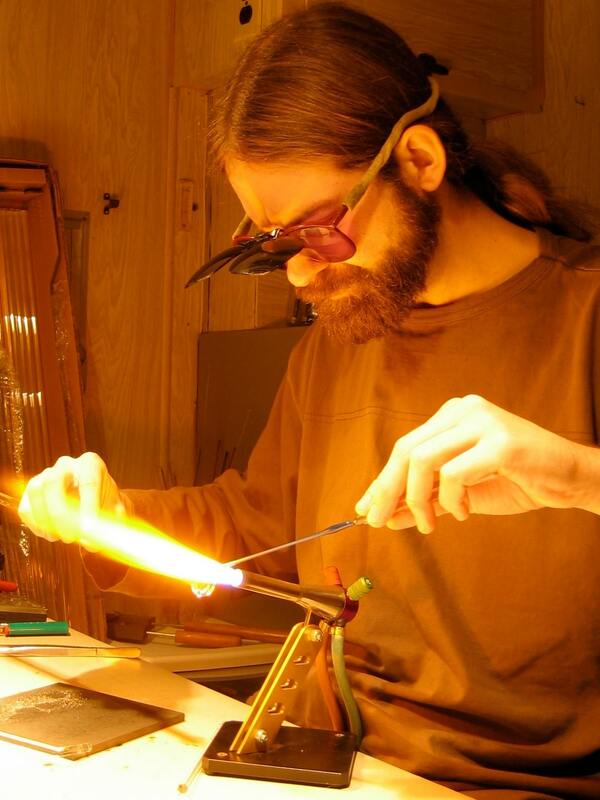 For the last 20 years I’ve specialized in creating lampwork glass jewelry out of strong borosilicate glass. After experiencing the loss of 2 close friends and my big tom cat Leo, I decided to put my skills to use in the service of others who’d lost people and pets close to them. Cremation jewelry is the most rewarding glass work I’ve done. I’m honored to be able to make beautiful creations out of hot glass that help people hold the memory of their loved ones close to their hearts. I take my part in this seriously and am always conscious in treating both my customers and the ashes of their loved ones with care and respect. If you have some of your loved one’s ashes and are interested in having them preserved in a piece of glass art, please feel free to contact me with any questions you might have about the process. I received my pendant today. It is more beautiful than I’d hoped it would be. Now that I have my two special pendants from my boys, Hanson and Vegas, I know I can spread their ashes when the time is right. Thank you for giving me a wonderful way to remember them and not just have a couple boxes of ashes on the mantle. You have an amazingly talented and crafted skill. I have seen other artists cremation jewelry in person and am truly thankful I choose you to create my pendants. Here’s hoping I won’t need to use your talent for several more years.